Amsterdam, the Netherlands - Royal Philips (NYSE: PHG, AEX: PHIA) today announced that it will introduce a next-generation monitoring solution for at-risk patients in low acuity hospital settings, such as the general ward. As an industry-first, the new medical-grade biosensor enabled solution demonstrates Philips continuing commitment to better addressing clinicians’ and patients’ needs through monitoring. Unlike fitness trackers and consumer focused wearables, the new medical-grade, connected biosensor automatically and continuously measures clinically relevant vital signs including heart rate, respiratory rate, skin temperature and more. 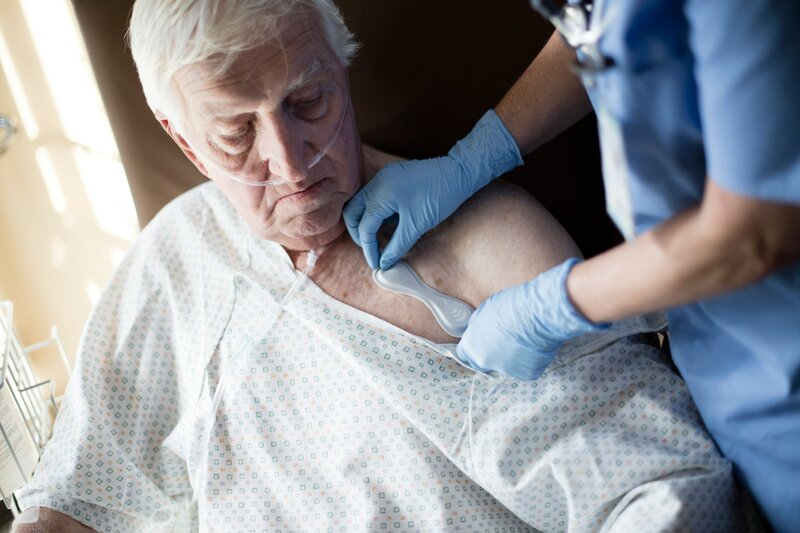 The biosensor then transmits the data it collects to a connected clinical decision support software application, where the software can be configured to promptly notify the appropriate caregiver or clinician when preset limits are exceeded. Philips’ creation of this solution began from conversations with providers looking for rapid co-creation models to address specific issues, such as helping at-risk patients in low acuity hospital areas through recovery and transition to home care. Philips plans to introduce a portfolio of integrated solutions which will connect to analytics tools and dashboards with the goal to give clinicians actionable insights to help improve patient outcomes, reduce costs, and improve access to care. Due to a growing aging population and a rising number of people with chronic diseases contributing to 86 percent of health care costs , healthcare stakeholders are seeking more cost-effective ways to monitor, diagnose and treat patients. While Philips personal health programs will help consumers develop healthier habits for life and potentially prevent illness, Philips’ connected health solutions for professional healthcare applications, including the wearable biosensor, are designed to help patients in low-acuity areas of the hospital transition home. For more information on Philips’ next-generation biosensor, visit booth #3416 at the 2016 Annual HIMSS Conference & Exhibition taking place Feb. 29 – March 4 at the Sands Expo in Las Vegas, NV. For updates on Philips’ presence at HIMSS, follow @PhilipsLiveFrom and visit www.philips.com/himss.